Known for his mysterious, intense looks and bald head, actor Yul Brynner is famous for his film roles in “The Magnificent Seven,” “Anastasia,” “The Ten Commandments” and “The King and I” as the King of Siam. 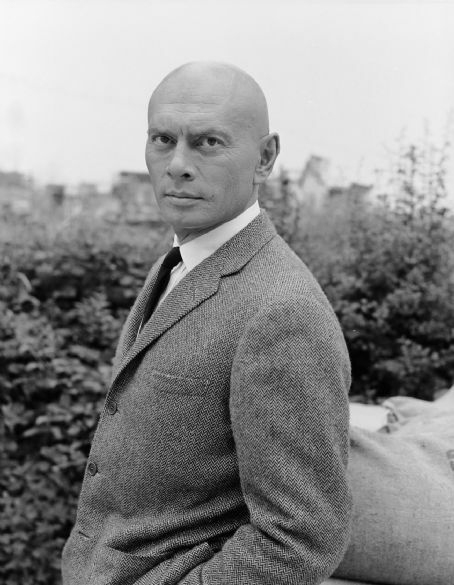 But Brynner also played a role in cancer awareness. This week is Oral, Head and Neck Cancer Awareness Week (April 12-18, 2015); an event that Brynner’s own illness helped play a role in. Brynner and oncologist George Sisson, MD, formed the Yul Brynner Head and Neck Cancer Foundation in 1984 in Chicago. Renamed in 2001 as the Head and Neck Cancer Alliance and based in Charleston, SC, the organization’s mission continues to be educating people on the side effects of tobacco and its connection to cancers of the head, neck and mouth. While the King of Siam is one of the roles Brynner is best known for, it was also one of his favorites. Aside from the 1956 film version, Brynner performed the role on stage 4,625 times up until three months before his death in 1985, according to his Los Angeles Times obituary. Brynner began reprising the role of the King in 1977. He first appeared on stage in the role in 1951. His daughter Victoria called his returning to Broadway for “The King and I” a “God send,” in the documentary “The Hollywood Collection: Yul Brynner- The Man Who Was King,” because he hadn’t been in a good place in his career. “He was getting to play again a role that had been his for years,” Victoria said. In 1983, while Brynner was still playing the King, he learned he had lung cancer. One source, the Encyclopedia of Cancer and Society by Graham Colditz, said Brynner saw a doctor because his throat felt hoarse and that is how he was connected with Sisson. The 2006 biography “Yul Brynner” by Michelangelo Capua said Brynner found a lump on his neck while putting on his makeup. Brynner was diagnosed with inoperable lung cancer in September 1983 by three oncologists. Brynner tried to keep his illness quiet from the public; only telling close friends and family members, according to Capua’s book. Brynner started smoking as a kid and smoked five packs of cigarettes a day, according to his Los Angeles Times obituary. Brynner underwent radiation treatment, because the side effects were less severe than chemotherapy, according to Capua’s biography. 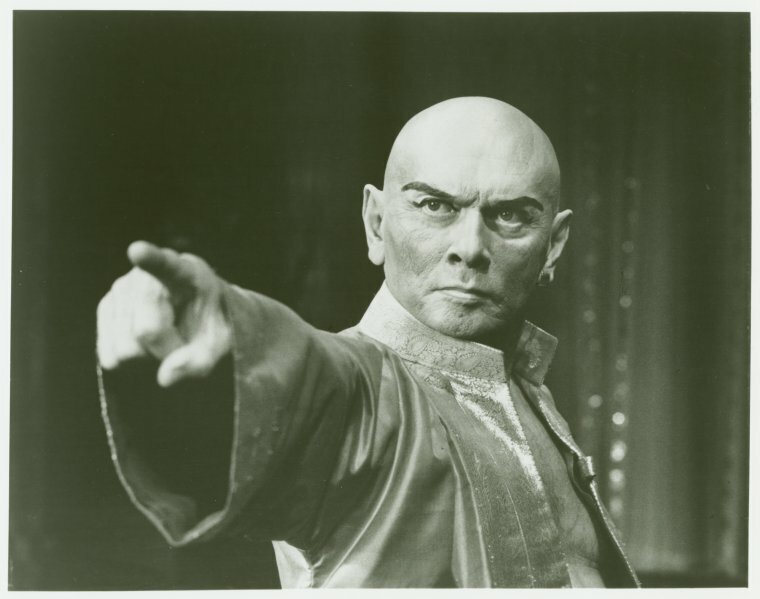 Yul Brynner during the 1985 “King and I” revival. While still performing, the play was renamed “The King and I: Farewell Tour,” and Brynner would visit cancer patients in hospitals. He spoke with a 10-year-old boy who was bald due to his radiation therapy, and told the child, “See, I’m a star and I’m bald. It’s not so bad being bald,” according to Capua’s biography. Brynner’s last performance in the “King and I” was June 30, 1985. Before his death, Brynner was interviewed on Good Morning America (GMA) where he told the reporter that he wanted to film a commercial before his death warning people about the dangers of smoking. Part of this interview was edited into a PSA for the American Cancer Foundation. “Now that I’m gone, I tell you: Don’t smoke, whatever you do, just don’t smoke,” Brynner said. He died on Oct. 10, 1985, at age 65 at New York Hospital- Cornell Medical Center. This entry was posted in Star Deaths, Star Profile and tagged Head and Neck Alliance, Head Neck and Oral Cancer Awareness Week, lung cancer, Yul Brynner, Yul Brynner cancer, Yul Brynner Head and Neck Cancer Foundation, Yul Brynner smoking advertisement by Jnpickens. Bookmark the permalink. Yul was a lot of things during his life and career but in death he was heroic. Excellent article and very informative! I loved Yul’s role in Westworld. I didn’t realize he performed in The King & I so many times! I vividly recall these commercials. Chilling. My mom had a crush on Brenner and yet she too died of cancer- in 1981, at the age of 34. So whenever I saw those commercials, I couldn’t help but think of her too. Yes, I remember this well. Wonderful post. Thanks for sharing this. I remember seeing that PSA as a kid and how sad it made me. Great post. “There was an idea that you go to bed not knowing if you have a tomorrow and you must be thankful for every tomorrow and make the most of it,” He just made a choice on how to live the rest of his life…by inspiring more people through his craft in spite of his illness, and remind us how dangerous smoking really is. I was touched when he talked to the kid. Heroic indeed.